Spend any time on Cruise Critic's message boards and you'll see one question raised over and over again: "Which cruise line is better for me -- Regent Seven Seas Cruises or Oceania Cruises?" It's natural for travelers to be curious about the merits of one cruise line over another -- especially when those two lines in question are owned and managed by the same parent company (Norwegian Cruise Line Holdings Ltd.). It's true that Regent and Oceania share many of the same values. They both strive to provide excellent service, focus on exceeding your culinary expectations and devise cruise itineraries that explore all corners of the globe. But there are also some key differences. Let's delve into what makes each cruise line special. Regent Seven Seas has four cruise ships: two 700-passenger vessels, Seven Seas Mariner (launched 2001, refurbished in 2018) and Seven Seas Voyager (2003, refurbished in 2016); plus the 490-passenger Seven Seas Navigator (1999, refurbished in 2016); and the 750-passenger Seven Seas Explorer, which joined the fleet in 2016. Another 750-passenger ship, Seven Seas Splendor, is scheduled to launch in 2020. Oceania Cruises has six ships. Three 684-passenger R-class ships -- Insignia (joined the fleet in 2004), Nautica (2005), Regatta (2003) -- are all former Renaissance Cruises vessels and were refurbished in 2014. A fourth, Sirena, originally launched in 1999 but joined the Oceania fleet in March 2016 after a $40 million dry dock. Two 1,250-passenger O-class ships were built specifically for the cruise line: Marina, launched in 2011 and refurbished in 2016, and Riviera, launched in 2012 and refurbished 2015. Oceania's R-class vessels are scheduled for updates, with the cruise line's OceaniaNEXT refurbishment program currently underway. With a $100 million budget, Oceania is slated to redesign staterooms and suites, incorporate new decor in shipboard restaurants, and update bars and lounges. Insignia will be refreshed first, in December 2018, followed by Sirena in May 2019, Regatta in September 2019 and Nautica in June 2020. 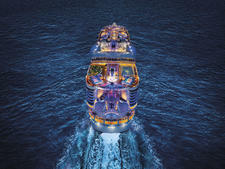 Regent and Oceania package different amenities into their cruise fares. Read on to learn what those inclusions are so you can make the best price comparison -- understanding you'll be comparing apples to oranges. Choose Regent if you want more perks packaged in the all-inclusive cruise fare. Sometimes you just want to splurge and arrange for the most all-inclusive vacation possible. You don't want to think about what's included and what's not. If that describes what you're looking for, Regent Seven Seas is an excellent choice. It is arguably the most "all inclusive" of the luxury cruise lines. Everyone -- no matter which cabin they're in -- receives included benefits such as round trip airfare, a welcome bottle of Champagne, unlimited shore excursions, specialty restaurant dining, prepaid gratuities and Wi-Fi. Regent also packages unlimited complimentary beverages -- coffee/tea, water, soda, juice, wines, spirits and beer -- in its cruise fare. Bars are open throughout the day, and your suite is also outfitted with a complete liquor bar setup and mini-bar, which are replenished daily. 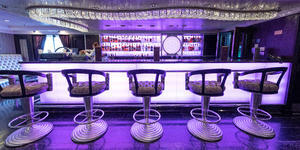 While Regent also sells premium wines, most cruisers say the complimentary pours are good enough. Suite passengers get even more inclusions and perks, depending on suite category, such as a one-night pre-cruise stay in a luxury hotel, butler service and -- for Regent Suite passengers -- personal car and guide during shore excursions in all ports. Choose Oceania Cruises if you have a smaller budget. When you compare fares to Regent, Oceania is the cheaper option by far -- but, of course, there are fewer inclusions in the fare, and entry-level cabins are much smaller. A seven-night Alaska voyage aboard Seven Seas Mariner (Anchorage to Vancouver) will run you $6,099 in a Deluxe Veranda Suite while a similar itinerary (Seattle round trip) aboard Oceania Regatta is just $3,399 (OLife fare with additional perks) or $2,849 (regular fare) for a comparable Veranda Stateroom. A 10-night, Caribbean round trip voyage out of Miami aboard Seven Seas Explorer costs $5,699 for a Veranda Suite while a comparable Miami round trip on Oceania Riviera is $4,499 (OLife fare) and $3,799 (regular fare) for a Veranda Stateroom. Or if you prefer spending your money on what's most important to you in an a la carte setting. With Regent's all-inclusive fares (see above), you might be paying for things you won't actually use. In this case, Oceania might make more sense for you and give you the best value for your money. Oceania's cruise fare includes quite a lot, like free unlimited internet, 24/7 room service and dining at all restaurants onboard -- even the specialty restaurants. Unlimited soft drinks, bottled water, cappuccino, espresso, teas and juices are also complimentary, as is shuttle service from the ship to the city center in many ports of call. However, passengers can pick and choose where else they want to spend their money. Wine-pairing dinners at La Reserve, tours, gratuities, alcoholic beverages and spa treatments are not included in the fare. Passengers can opt for a basic lower cruise fare and pay extra for all of the above, or they can choose the line's OLife Choice promotional fares and pay extra to customize the cruise experience by selecting from a range of additional freebies, such as a choice of complimentary shore excursions, a free House Beverage package or shipboard credit. Round trip airfare from certain gateways comes free with OLife fares -- or you can opt out of the airfare and receive a credit instead. Both cruise lines offer port-intensive itineraries that allow travelers to immerse themselves in the destination. 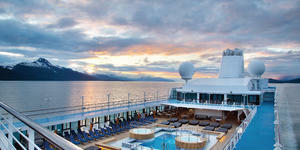 Regent and Oceania's offerings are both strong in Alaska, the Caribbean and Mediterranean. Both lines offer a mix of shorter one- to two-week voyages -- especially in popular regions like the Caribbean and Mediterranean -- and longer "grand voyages" that can last 30 or more nights. Both lines offer full world cruises. Oceania also offers more Africa-centric voyages than Regent does at this time. However, if you want to visit Asia, Regent offers more choice with itineraries from Hong Kong, Shanghai, Singapore, Tokyo and Bangkok. Both offer world cruises and ocean crossings. Choose Regent if you love ocean crossings. Regent gets rave reviews from travelers who book "grand crossings," otherwise known as transocean voyages. Most cruise lines, including Oceania, offer transocean itineraries, but Regent excels in programming additional onboard lecturers and activities -- like bridge -- to make these cruises special. These trips occur when the line's ships need to reposition from one part of the world to another. The itineraries are full of back-to-back days at sea -- with a few ports of call for good measure -- and those sea days are absolute gold for anyone who wants to spend his or her time enjoying the ship. Play some competitive trivia, practice your ballroom dance steps, learn to cook something new, attend a lecture or pamper yourself with a spa treatment or two -- there is always something to keep you busy. Crossings are usually priced well and this may be an opportunity to try Regent's flagship, Seven Seas Explorer, at a lower than normal per diem. Choose Oceania if you have your heart set on an in-depth world cruise. If you want to invest your time and money in a world voyage on a luxury vessel, Oceania's Insignia will be hard to beat. Oceania's world cruise -- at 180 days -- is the longest of any cruise line. In 2020, it departs Miami and returns to San Francisco, but you can tag on 20 more days for a round number of 200 nights at sea if you opt to return to New York City instead. The route changes each year but is always intriguing -- 2019 features the South Pacific, New Zealand and Australia, the Caribbean, Canada and New England, Northern Europe, the Mediterranean and the Middle East while the 2020 voyage forfeits those destinations in favor of a bit of South America, Asia, Alaska and a focus on the ports of Southern Africa. 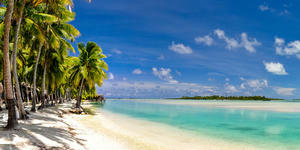 The quality of land tours offered by both Regent Seven Seas and Oceania is very high. Each line uses knowledgeable tour guides and transportation providers that maintain luxury coaches, watercraft, vans and cars. Neither line packs its tours, so you won't feel overcrowded on the bus getting to and from each site. Choose Regent if you know you want to take a ship-sponsored shore excursion in every port of call. 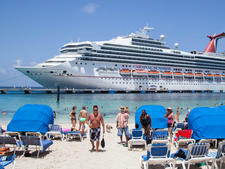 Regent is famous for offering unlimited shore excursions in its cruise fare. In practice, this means that you can be assured of an interesting tour ashore in every port -- all for no additional out-of-pocket expenses (other than a discretionary tip for your local guide). Free excursions generally include guided walks of the city center or hop-on, hop-off sightseeing bus tours; visits to museums, castles, historic sites or vineyards; or the opportunity to meet locals at places like fish markets or farmers markets. In every port, you will find a good number and variety of complimentary tours. Regent also offers additional paid tours -- upgraded options that are more niche or in-depth, or offer pricier components than the free tours. Some examples of the for-fee excursions include Regent's Gourmet Explorer Tours that combine things like a market visit and lunch out or a hands-on cooking class with a local chef. Or pick from a variety of wellness tours that may offer a day of yoga and wine tasting, for example. Choose Oceania if you're more the DIY type. While Oceania Cruises offers a variety of interesting shore tours, a good number of travelers prefer to do their own thing. That might be because the line tends to draw a slightly younger and more active crowd than Regent, and those passengers are more willing to strike out on their own -- either touring independently or booking a private guide. But fear not: If you enjoy cruise-sponsored ship tours, Oceania's offerings are solid and they offer a variety of tour packages if you're looking to save a few dollars by booking several excursions through the cruise line. Some travelers want their cruise ship cabin to be their home away from home, while others look at it as merely a place to sleep at night. Regent -- with its spacious suites, almost all with balconies -- is a better bet if you like to spend time in your room. Oceania, on the other hand, offers a wider range of cabin categories -- including some inside cabins -- so you've got a bit more choice there. Both offer butler service in Penthouse Suites and above. Choose Regent if you want a spacious suite with a balcony. 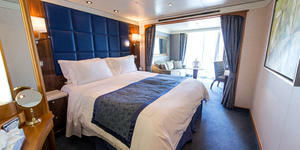 Regent's fleet comprises "all suite" ships, and 97 percent of the suites are outfitted with a balcony. (Seven Seas Navigator is the only ship in the fleet that has suites without a balcony.) When it comes to space on all Regent ships, even the entry-level Veranda category spans 307 square feet (including the balcony) on Regent Explorer. 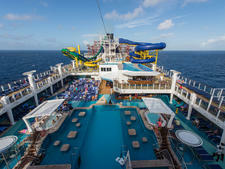 Compare that to Oceania's 165-square-foot Ocean View category aboard Regatta, Insignia, Nautica and Sirena. Choose Oceania if you want real choice when it comes to your cabin category. Sure, Regent boasts that nearly every cabin in its fleet has a balcony, but what good does that do you if you're never in your stateroom? 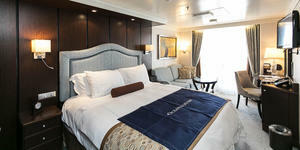 Oceania Cruises offers a broader range of cabin categories to suit every cruiser's style. All Oceania ships have inside staterooms, ocean-view cabins, veranda and Concierge-level veranda staterooms, Penthouse Suites, Vista Suites and Owner's Suites. These options afford you the ability to select the ideal cabin. If you're on a budget, a more inexpensive inside stateroom or ocean-view cabin may suffice. For those looking for some additional services, go for the Concierge-level veranda category that provides priority embarkation and luggage delivery, priority specialty restaurant reservations, unlimited access to Canyon Ranch SpaClub's private Spa Terrace and more. If you've got cash to spend, Penthouse Suite and higher passengers can board the ship even earlier than Concierge-level guests, and a butler -- on call 24 hours a day -- caters to their needs. Vista and Owner's Suite passengers also receive a complimentary in-suite bar setup with six full-size bottles of premium spirits and wines. Both cruise lines offer some compelling dining options. Both have gorgeous main dining rooms and each has a steakhouse, French restaurant and Asian specialty restaurant on ships throughout its fleet. Neither line charges extra fees for its specialty dining rooms (with the exception of Oceania's for-fee La Reserve wine dinner), so you can expand your palate and try everything without shelling out extra cash. Choose Regent if you're a red meat kind of guy or gal. If you love a good steak, you have to try Regent's Prime 7. 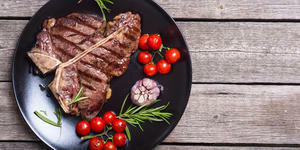 It serves USDA prime-grade beef, as well as cuts that have been dry aged for 28 days, and you'll be hard-pressed to find cuts as delicious as these at a land-based restaurant. The most popular entree is the porterhouse for two with all the fixings (potato, choice of vegetable and salad). If you're in the mood, turn your meal into surf and turf with an order of Alaskan king crab legs or a whole Maine lobster. Desserts here are quite good and include homey standbys like Chicago-style cheesecake, banana cream pie and Key lime pie. Or if you'd like to make a special request. Regent's culinary department excels when you make a special request -- just be sure to do it in advance. For example, do you want an Alaskan king crab leg feast for dinner one night? Just ask the maitre d' at the beginning of your cruise and it will be arranged. Do you prefer Indian food? A special meal can be crafted just for you and your dinner guests. 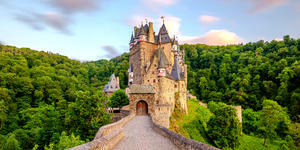 Be sure to make your preferences known at the beginning of the voyage and just about any request can be accommodated. 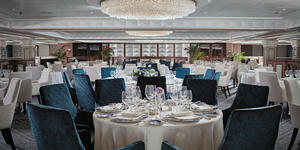 Choose Oceania Cruises if you love varied dining options. Oceania Cruises offers plenty of choices when it comes to mealtime. All ships across the fleet offer the Grand Dining Room and Polo Grill steakhouse, which like Regent's Prime 7 also serves prime and dry-aged beef. In the afternoon, you’ll find The Bistro in the MDR. 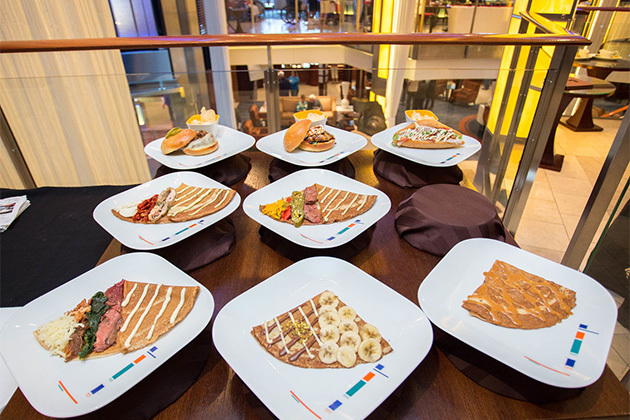 With lunch menus designed by French chef Jacques Pepin, you'll enjoy bistro-style dishes like croque-monsieur sandwiches, salad Nicoise and veal scallopini piccata. All ships also have two outdoor dining options, Terrace Cafe and Waves Grill. The Italian restaurant Toscana makes an appearance on all ships except for Sirena, which offers Tuscan Steak in its place. Oceania's newer ships, Marina and Riviera, offer Jacques (with menus by Pepin), La Reserve for wine dinners and Red Ginger Asian restaurant (also available onboard Sirena). 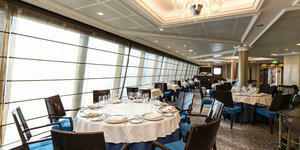 Privee is available for private dinners for Marina and Riviera passengers. Or if you'd like to throw a private dinner party. One standout dining venue aboard Marina and Riviera is Privee, where you can host an intimate dinner party for 10. The setting is magical with a custom-built table designed by Dakota Jackson, a Venini chandelier, Ferrari-red carpeting and Baroque millwork. If you're celebrating a special occasion, this is the place to do it. You may order from either Polo Grill or Toscana, or both -- the choice is yours. The fact that they are sister lines (both are operated by Norwegian Cruise Line Holdings Ltd.) might explain why Oceania and Regent have similar entertainment and enrichment programing. For instance, both offer hands-on cooking lessons (Oceania’s Culinary Center onboard Marina and Riviera, and Regent's Culinary Arts Kitchen aboard Explorer), spa and wellness programs run by Canyon Ranch, bridge programs on certain itineraries, and lectures by esteemed personalities onboard. Despite their similarities, however, Oceania and Regent still provide some distinct entertainment options in different areas for their passengers. Choose Oceania if you're into more creative pursuits. Oceania's larger O-class ships, Marina and Riviera, provide passengers an opportunity to get creative through the Artist Loft. 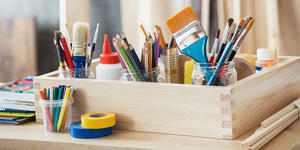 Beginners can learn to paint, sketch or create collages with step-by-step instructions from a resident artist, while seasoned pros can improve their skills. 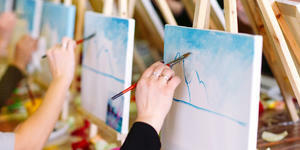 The Artist Loft is also available onboard Insignia's world cruises. Choose Regent for Broadway-style shows. While Oceania attempts to cater to everyone with entertainment options that range from karaoke, dance, live music and production shows, Regent gets higher marks when it comes to its stage shows. A team of musicians and actors perform lavish musical and theatrical productions at the theater. Recent top-notch performances include the cabaret-style "Paradis" and Beatlemania-infused "My Revolution." You'll almost never be inundated with families on either line, but both do offer some select services during certain times of year. Choose Regent if you want both a kids club program and a luxurious cruise experience. During June, July and August and on certain holiday sailings, Regent offers its Club Mariner Youth Program in Alaska, the Mediterranean, Northern Europe and the Baltics. 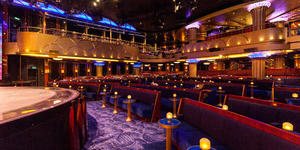 There is no permanent kids club so most activities take place in the Stars lounge or on deck. Programming throughout the day focuses on age-appropriate activities for kids ages 5 to 8, 9 to 12, and 13 to 17, with options such as storytelling, board games, arts and craft projects or interactive pursuits such as baking cookies with the chef. Tweens and teens generally spend more time competing in video game tournaments or watching movies. Choose Oceania Cruises if you're traveling with a multigenerational group (with older teens). 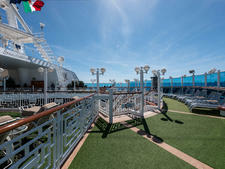 There is a lot to do on Oceania ships, especially the fleet's newcomers Marina and Riviera. No matter the ages of your family members, each will find a pastime that suits; however, there are no dedicated kids' areas or activities. The line is best suited for older teens or young adults who can entertain themselves. 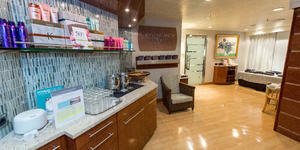 The Pool Desk is home to a spacious heated pool and three whirlpool spas as well as the ubiquitous pool bar. The Artist Loft is an enrichment center of sorts where you can find artists-in-residence offering step-by-step instructions in a variety of arts such as painting with watercolors or digital photography. The Culinary Center astounds amateur cooks with fully equipped workstations; you can learn techniques and recipes from a master chef. If your family has gone their separate ways during the day, we recommend you meet up at 4 p.m. daily for a spot of traditional English tea and all-you-can-eat pastries. Choose Oceania if your budget is an issue; even buying a drinks package and shore excursions a la carte could net out to a cheaper bill than a Regent cruise, especially on its flagship Seven Seas Explorer. Choose Regent Seven Seas Cruises if you want a pull-out-the-stops, all-inclusive cruise with gratuities, alcoholic beverages and shore excursions covered in the fare.